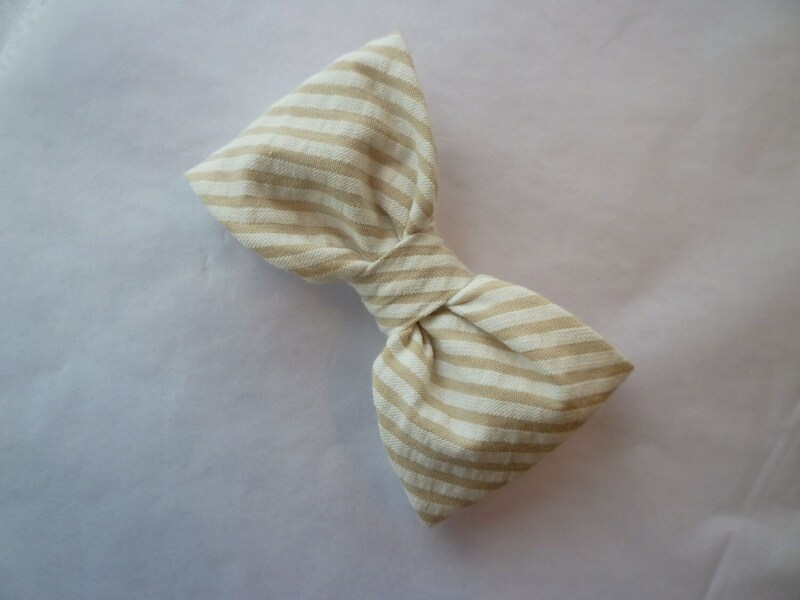 Darling tan seersucker clip on bow tie. Perfect for ring bearers or groomsmen. Individually hand made out of top quality designer cotton seersucker.